Frederick Bremer School Walthamstow | You Can’t Stop The Beat! 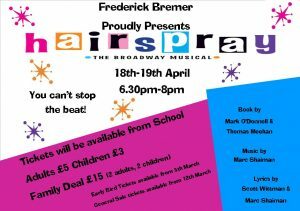 This year at Frederick Bremer our Creative Curriculum team are putting on an exceptional school production of Hairspray the Broadway Musical. 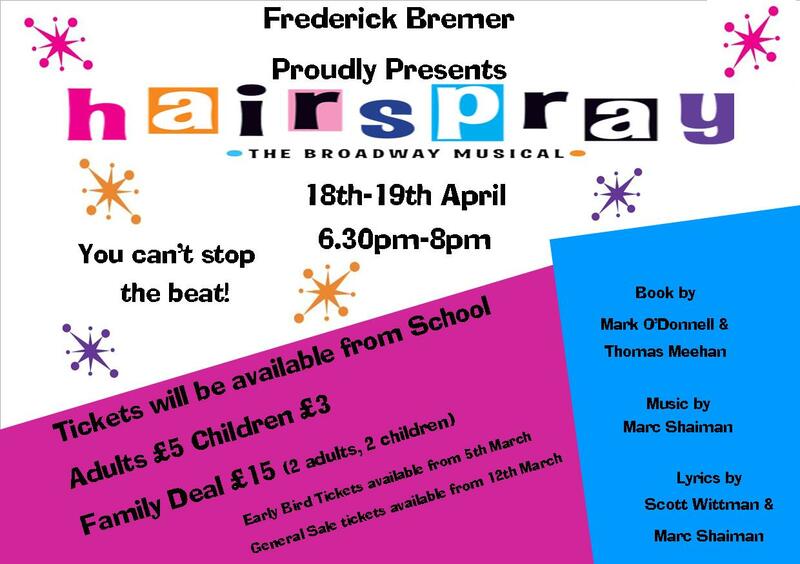 This is the biggest school production Frederick Bremer has presented since opening in 2008. The dates are 18th April and 19th April, doors will open at 6pm for a 6.30pm start. The production includes pupils from Year 7 to Year 10 who have had to learn songs and choreography, design and build sets and our wonderful orchestra has had to learn the iconic songs. Our PTA are selling raffle tickets which will be drawn on 19th April, prizes include a Technika 24F22B 24 Inch HD Ready 720p Slim LED TV with Freeview HD, a Spring Hamper and a £150 Salt Cave Gift Voucher. You can purchase tickets on the evening of the performances for £1 each or £5 for a book of 5 tickets. The PTA will also be selling hot and cold food before the production starts and during the intermission. Tickets for the performance will be sold from 8am to 8:30am and during break time to pupils or you may contact the school to purchase your tickets. 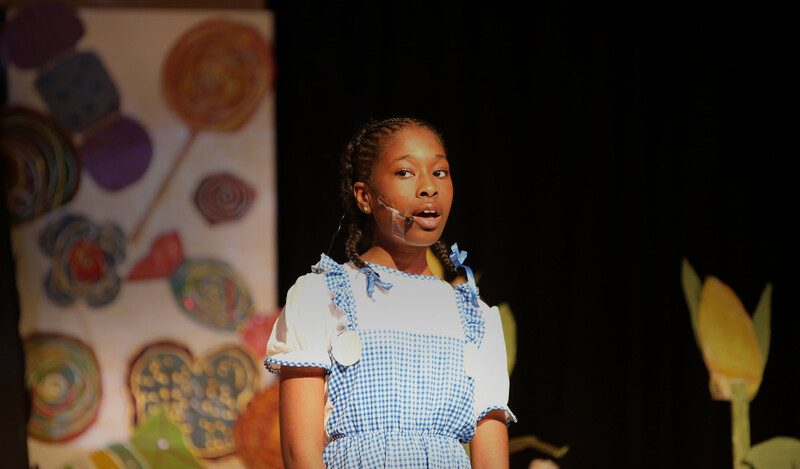 In addition, if you’d like to find out more information about the school production you can contact the school on 0208 498 3340.